The fuzzy, mournful closer to Dinosaur Jr.’s 1994 album Without a Sound, “Over Your Shoulder” is an unlikely candidate for a hit single. Indeed, it was never released in that format. Stranger still, the track rocketed up Japan’s charts thanks to over eight million video plays—earning the country’s top spot for video streams—despite no YouTube upload of the song having anywhere close to that many views. Well, some of us now know why, but it doesn’t make the incident—which involves Japanese bad boys, reality TV piracy, and renegade algorithms—any less strange. Key to Japan’s apparent Dinosaur Jr. resurgence is how Billboard currently calculates hit singles. Six years ago, the company added YouTube plays to the formula of its Hot 100 chart, counting song streams from both official videos and user-generated clips. This has led to some weirdness. In 2017, for instance, The Fader reported that 41 million views of a bizarre YouTube clip featuring Post Malone singing the chorus of “rockstar” over and over again helped put the song at the top of the chart. In the case of “Over Your Shoulder,” the only obvious connection between it and Japan was “Gachinko Fight Club,” a recurring segment on a variety show called Gachinko! that left the airwaves 15 years ago. The reality TV program purported to show regular “punks” being trained as professional boxers—and often used “Over Your Shoulder” as a musical cue. According to Takayuki Suzuki, a Japanese entertainment consultant who first noticed the connection on Twitter, the track was featured in most episodes to give a sense of increased “sentiment, distress and emotion.” The show, it should be noted, was enormously popular. Gachinko!’s use of the song back then, however, only partly explains why it’s going viral on YouTube in Japan now. Late last month, a number of Japanese Twitter users began noticing pirated clips of Gachinko Fight Club being recommended on YouTube, through both the site’s suggested videos sidebar and its autoplay feature. “Anyway everybody’s YouTube recommendation Gachinko Fight Club,” reads a typical tweet from February 2. Many more tweeted about bingeing on pirated uploads of the show on YouTube, often through night. The algorithm gods, it seems, were smiling on the show—and thus “Over Your Shoulder.” The song, played as brief clips on pirated Gachinko Fight Club marathons, was gaining millions of unlikely streaming hits decades after its release. For those wishing to satisfy their Gachinko Fight Club nostalgia, YouTube is pretty much the only option. Suzuki explained there are few TV streaming services in Japan, especially when it comes to older Japanese programming like Gachinko!—which isn’t available on DVD either. “So people search by program name [which] leads to pirate video [on] YouTube,” he said. Japanese Twitter user @kyabetu_aomori, who told Gizmodo that variety shows are often suggested to them on YouTube, said that they had to repeatedly click “not interested” on Gachinko Fight Club clips to stop the recent flood of recommendations. They said these videos had around 100,000 to 300,000 plays. While they were still around, at least. A Japanese blog post about the video deletions as translated by Google. Last Monday, social media users in Japan noticed that the Gachinko Fight Club videos were disappearing. “All the videos of Gachinko Fight Club are gone! All deleted by user!” wrote one. As popular as pirated content might be on YouTube, it can also have a short shelf-life. In the end, no one factor made “Over Your Shoulder” a Billboard hit in Japan. Nearly 25 years ago, it was released. More than 15 years ago, it was used on a Japanese reality show about boxing bad boys. Six years ago, Billboard started counting YouTube plays. And just days ago, YouTube apparently began recommending pirated episodes of that reality show to Japanese users, who seemingly binged it in the thousands, playing “Over Your Shoulder” over and over again in the process. With those videos deleted, it’s easy to understand Billboard’s confusion, but other recent uploads of Gachinko Fight Club are still on YouTube—where they’re already racking up tens of thousands of views. In a blog post last week, Billboard Japan noted that other older songs from the West were also making unexpected appearances on the chart. As long as Japanese TV fans are relying on YouTube to satisfy their nostalgia, those songs are likely to keep showing up in unexpected places. One mystery that remains is why YouTube started recommending Gachinko Fight Club to so many users last month. Did the show—as some have speculated—simply reenter the news? Did a pirate suddenly upload the episodes after years of unavailability? Or did YouTube’s algorithm just go nuts for boxing shows this year? 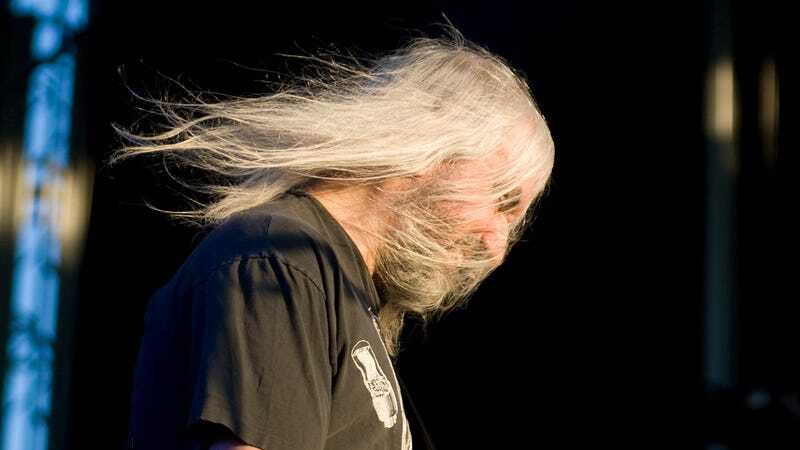 Gizmodo reached out to Billboard, YouTube, and Dinosaur Jr.’s management for comment. We will update this story if and when they respond. The Japan Hot 100 incorporates YouTube views within Japan of audio and video assigned with an ISRC code. This includes user-generated clips that utilize authorized audio. We believe a recurring segment from an old terrestrial TV variety program—which prominently featured Dinosaur Jr.’s “Over Your Shoulder” as well as the non-Japanese tracks that mysteriously appeared on the Japan Hot 100 dated Feb. 11 [tracking date: Jan. 28 to Feb. 3]—went viral due to renewed interest, resulting in users to binge watch YouTube videos of the segment using these songs, racking up significant views to impact the chart. Some of these user generated clips were then deleted, however new videos keep being re-uploaded which may result in these songs to appear again on this week’s Japan Hot 100, to be posted on Feb. 13.